Add a touch of glamour to your bathroom with the all-new Cube Freestanding Bath Mixer Tap with Hand Shower. This elegant floor mounted bath faucet is available in a stylish matte black finish and comes equipped with a hand shower. 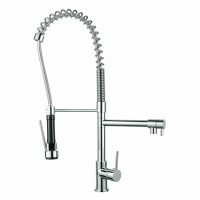 The Cube Freestanding Bath Mixer Tap with Hand Shower is suitable for use as a freestanding faucet in baths and is highly functional. It can easily be installed in any bathroom space without any hassles. And, because of its clever design, it is also very easy to use. 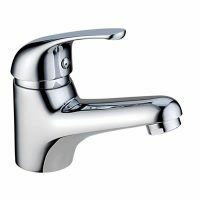 This is a quality product that is backed by a cUPC certification and Watermark approval. Moreover, it has been manufactured to highest of standards. 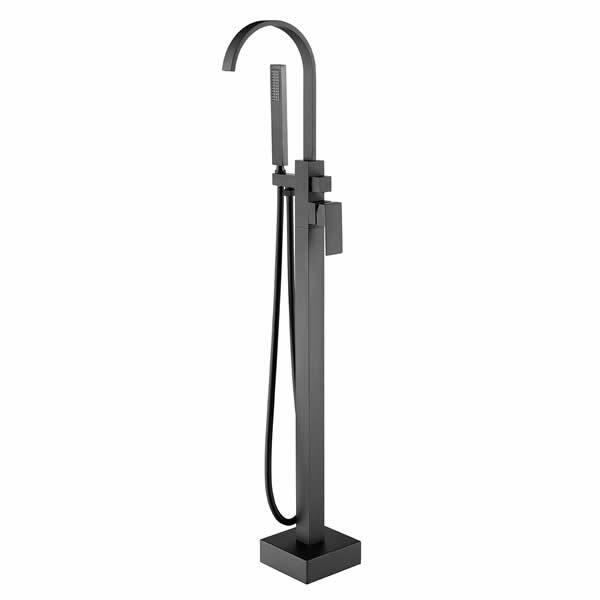 The body is made from durable brass, the shower hose is made of stainless steel and the handle is made from zinc. 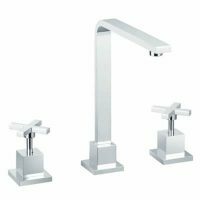 So go ahead, add glamour to your bathroom by choosing the Cube Freestanding Bath Mixer Tap with Hand Shower from Ross’s Discount Home Centre in Perth. Purchase this elegant freestanding bath mixer at an unbeatable price from our online store and take advantage our 14-day money back guarantee!